TGIM! It’s National Watermelon Day and the celebration is ON. I’m kicking August off with summer reading giveaways all month. Each week of August will bring you a new chance to win a signed hardcover of City Love, plus an ARC (advance reader’s copy) or swag from another teen author. It’s a summer reading giveaway bonanza! Yes, those are tissue packs from the premiere of The Fault in Our Stars. And yes, John Green was there. So those tissue packs breathed the same air as John Green. We also have ARCs of summer reading faves The Geography of You and Me by Jennifer E. Smith, Famous in Love by Rebecca Serle, Don’t Even Think About It by Sarah Mlynowski, and The Moon and More by Sarah Dessen. Like I said. The celebration is ON. Here’s how this will work. One day each week for the first three weeks of August, I’ll be doing a giveaway on either Twitter or Instagram. Make sure you are following me on both Twitter and Instagram so you don’t miss the giveaways! The date and site of each giveaway will not be announced in advance. When I announce each giveaway on either Twitter or Instagram, you will have 24 hours to follow me and post your giveaway entry. Share what you love most about your city (or another city you love) with your post. Whether your town is rural, suburban, urban, or somewhere in between, I want you to show your city love! 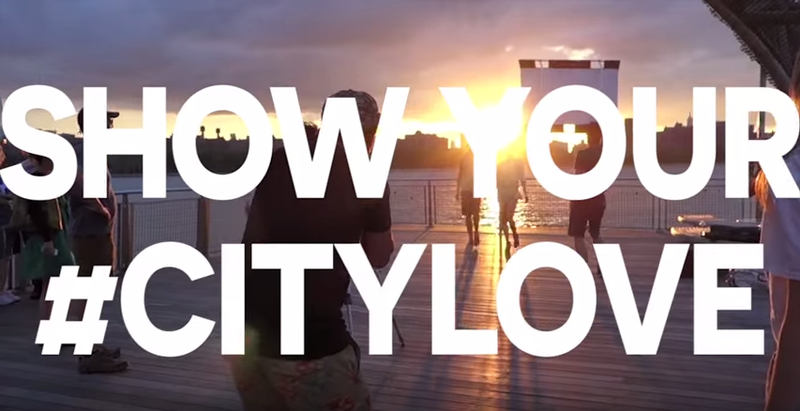 Your post must include the hashtag #citylove to enter. You may use the same entry each week, but can only win once. The last giveaway of August will take place on my Facebook. I will be doing a Facebook Q&A on Monday, August 24, from 7:00 to 8:00 pm EST. All you have to do to enter the giveaway is participate in the Q&A. Everyone who asks a question will be entered to win. And yo, this giveaway is international! Anyone may enter. 1. Follow me on Twitter and/or Instagram. You must be following me on the site where the giveaway is taking place that week to enter the giveaway. 2. One giveaway will be announced each week for the first three weeks of August. When each giveaway is announced, you will have 24 hours to follow me and post your entry. 3. Show your city love by sharing what you love most about your city or another city you love. 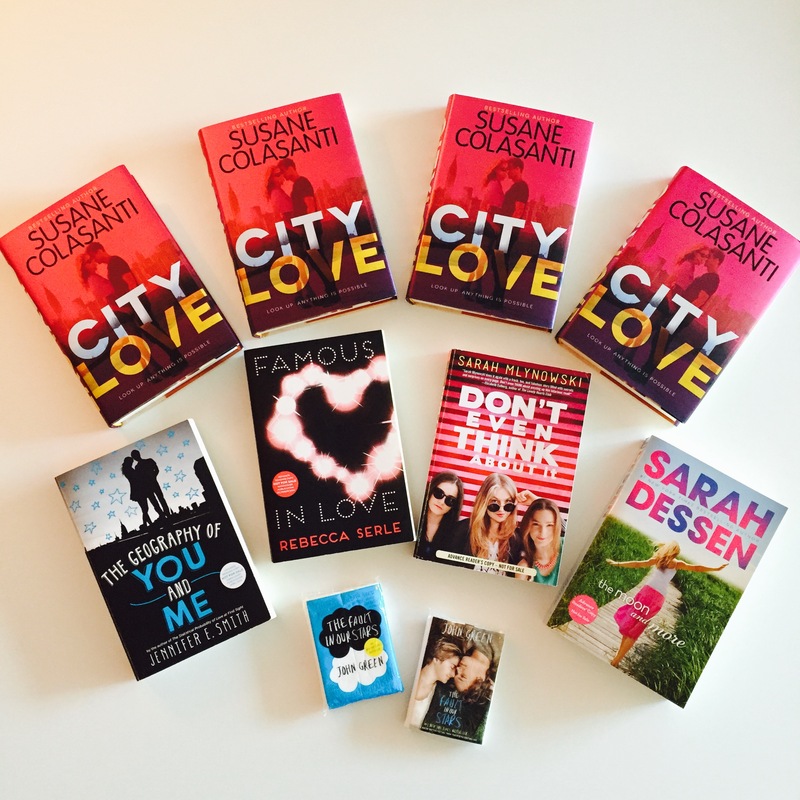 Include the hashtag #citylove with your post and tag @susanecolasanti. 2. Participate in the Facebook Q&A on Monday, August 24, 7:00-8:00 pm EST. Everyone who asks a question during the Q&A will be entered to win. This giveaway is international. 1. Each week’s winner will be announced and contacted on either Twitter or Instagram, depending on where the giveaway took place that week. 2. Winners must email their name and mailing address to me at susanecolasanti at gmail. 3. Winners can request which additional ARC or swag they would like to receive with City Love. I will try to accommodate all requests. Prizes will then be mailed out after all four giveaways are over. 4. The giveaways on Twitter and Instagram are US only. If you live abroad but know someone in the States who can receive your prize for you, you may enter. The giveaway on Facebook is international.